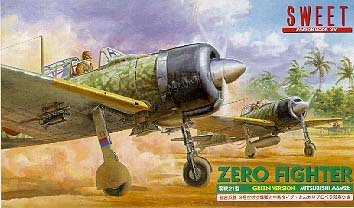 JAPANESE NAVY Green Camouflaged ZEROs. 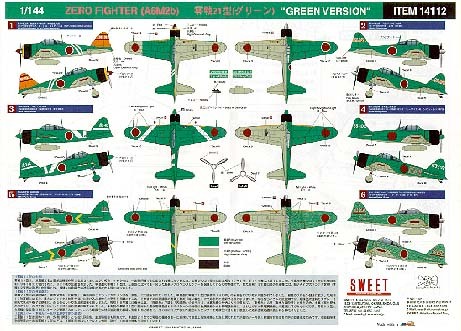 #14112 Mitsubishi A6M2b ZERO Fighter kit; The new tooled parts; Type 3 "Air to Air" bombs, Nakajima type pointy spinner and short antenna mast included. You can build both Mitsubishi and Nakajima types. 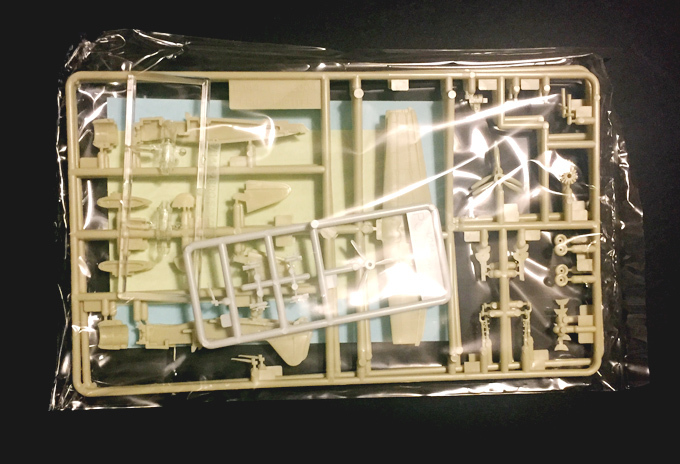 Finely molded parts; 0.3 mm thin clear canopy parts, a separate engine part, landing gear structure, drop tanks and the separate wintips to make optional folding position. 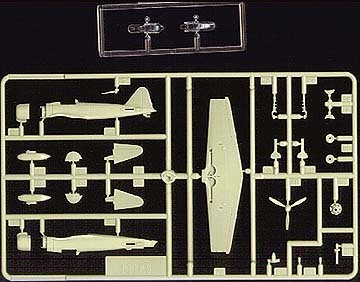 2 complete aircraft kits in a box. Molded in light Olive green. (the photos below are the test shots in gray) Recessed panel lines and rivets. High quality decal, Exquisite details better than ever. 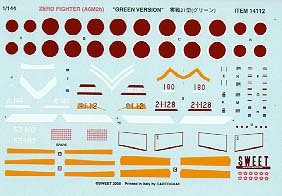 The Decal printed by CARTOGRAF in Italy includes SIX ZERO Fighters markings. A colorful marking guide also included. All the fine panel lines and rivets are engraved. The parts are clean-cut and sharply molded. The REAL injection mold is evdent. The type 21's characteristic folding wing tips are molded separately. The landing gear wells are cut realistically deep and have the intricate inner details. This feature is often compromised even in 1/48 scale aircraft model kit. Can you count the number of rivets on a tiny access panel of flap accutuator? ..... Six! the new tooled parts; Type 3 "Air to Air" bombs, Nakajima type pointy spinner and short antenna mast. 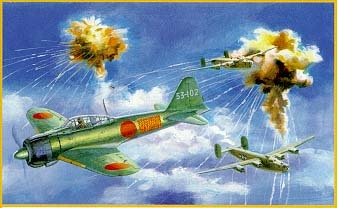 The ace Iwamoto from Air Group 253 attacks B-24s with Type 3 "Air to Air" bombs.